Before we share our list of the best synthesizers with you, let's take a look at just what it is that synthesizers do. These electronic musical instruments can produce a number of sounds and they do so by combining and generating signals of different frequencies. Synthesizers are mostly operated by a keyboard. These electronic musical instruments are available in two different types, analog and digital. What is the Difference Between Analog and Digital Synthesizers? 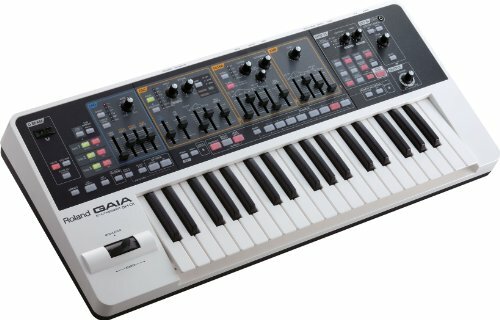 How to Choose the Best Synthesizer? If you're new to the field of synthesizers, be prepared to be faced with tons of choice and a potential information overload. We've distilled the basics for you here, starting with some of the key factors to consider before you go and buy a synthesizer. For now, let's dive straight into our list of top ten best of the best synthesizers available on the market today. Comes equipped with three note analog synthesis and has one knob per function, making it easy to play. Has a 16-step sequencer with Flux mode. Can be synced with other Volca series instruments. Optional battery power and a built-in speaker so you can play it anywhere you like. Equipped with self-oscillating high-pass/low-pass filters capable of distinctive distortion. Comes with USB MIDI plus 5-PIN MIDI. The External Signal Processor (ESP) utilizes the volume of the external audio source. Comes with an X-Mod circuit borrowed from the classic Korg mono/poly. Add delay or filter to your desired audio source with an AUX input jack. Battery powered with a built-in speaker. When it comes to synths, Korg is one of the best companies around and has been producing outstanding instruments since day one. This is why it's one of the top choices for professionals all over the world. 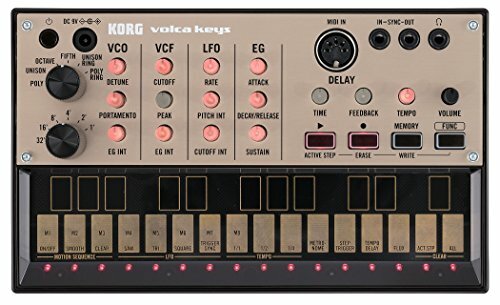 The Volca Keys by Korg is another example of the company's brilliance when it comes to synthesizers – it outclasses so much of the competition. As an analog synthesizer, it offers sounds that are rich and expressive, two things most folks look for in this type of synthesizer. It's pure, high-quality sound packed in a compact body. Why We Liked It - Korg Volca is a next generation synthesizer that offers great quality sound mixed with intuitive controls, making it super easy for you to create versatile sounds anytime, anywhere. It was 1978 when the when Korg came up with the MS-20 analog synthesizer. It was an instant success. The iconic synthesizer is reborn in the form of MS-20 Mini, this time in a compact size – 86 percent the size of the original, with some added features. All the core components that were used in the original MS-20 are the same, but the VCA voltage controlled keyboard amp has been modified to be less noisy. It comes with onboard MIDI and USB ports so you can easily connect it to all of your music gear. + Equipped with self-oscillating high-pass/low-pass filters capable of distinctive distortion. + Compact and highly portable. + Comes with USB MIDI plus 5-PIN MIDI. + The External Signal Processor (ESP) utilizes the volume of the external audio source. This synthesizer is as easy to play as it gets. Korg has once again come up with a fantastic sounding synthesizer an incredibly user-friendly interface. It's a compact sized fun-to-use synthesizer that has a lot on offer. Whether you're just a casual player or a professional DJ, you'll find this synthesizer a joy to play. Add interesting sound effects to your music with the monotron delay analog synth. + Comes with an X-Mod circuit borrowed from the classic Korg mono/poly. + Add delay or filter to your desired audio source with an AUX input jack. + Battery powered with a built-in speaker. + Has a headphone jack. 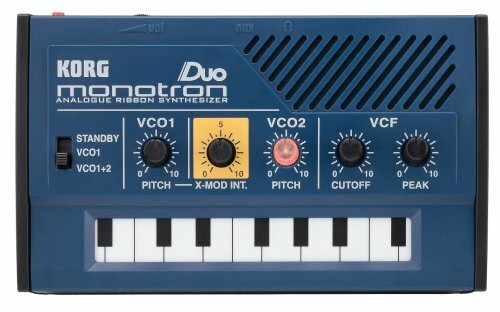 Why We Liked It -Everything about the Korg Monotron Delay Analog Ribbon Synthesizer is just perfect. It's one of the best modern synthesizers. Not only is the quality outstanding, but it is also offered at a remarkable price. In a nutshell, the product is easy on your wallet but heavy in sound! 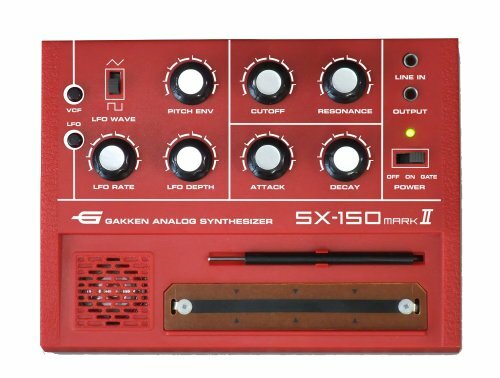 The Gakken SX-150 Mark II is a toy synthesizer which is actually capable of providing you with real quality and a fully functional synth. The price point of this synthesizer makes it a stand out performer among the competition. It's a pretty compact box that gives you great quality professional synth sounds. + Comes in a four-octave range like many professional synths. + Comes with 10 parameters, so you can tweak out the desired sound from it quite easily. + Battery powered and also as a built-in speaker. Why We Liked It - The Gakken SX-150 MARK II Analog Synthesizer exhibits a great price to performance ratio. You won't find many synthesizers at this price range with as many features as this one. If you're a musician, nothing is better than creating an instrument of your own. The Moog Werkstatt -01 was a project designed for Moog’s synth-building workshop. But it was such a great success that musicians all around the globe began demanding it. To meet with growing demand, Moog introduced this kit which gives you the power of creating your own monosynth. Why We Liked It - You'll get immense pleasure being able to build your own instrument. It's all the more satisfying when you play it! No wonder it's loved by so many musicians and casual users out there. Some people call this synthesizer the younger brother of the iconic MiniBrute synthesizer. Although the size of this synthesizer is compact, it actually houses that pure analog sound you'll find in some of the high-end large models. + The oscillator design of this synthesizer is the same as the MiniBrute, famous for its high-quality synth. + Equipped with Arthuria’s wave-shapers, for producing complex distortion synthesis with ease. + Comes with audio input for external signal processing. + Has a 25 minikey keyboard. + MIDI input for connecting all your music gear. Why We Liked It - If we're talking about price to performance ratio, no other synthesizer can beat the Arturia MicroBrute Analog Synthesizer, giving it a well-earned spot on our list. It's arguably one of the smallest modern synthesizers – but small in size only. The sound that comes out of this little guy is massive. This synthesizer has all the brilliant sound characteristics of the UltraNova packed into a compact size. It doesn't matter who you are, a gigging musician, sound producer, or just love creating music for fun – this synth has everything you need. The editing controls and the massive sound courtesy of the Nova sound engine make it a great choice if you're in the market for a new synth. + Comes with a Nova sound engine making it a powerful mini-synth. + Has a vocoder for vocal effects. + Enables you to tweak and warp your sounds in real-time. + Comes with 256 onboard sounds for a complete range. 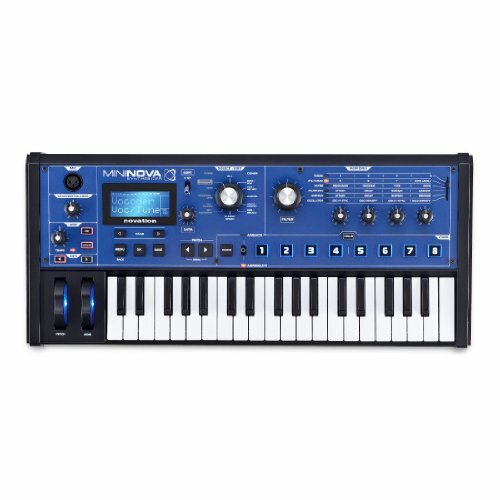 Why We Liked It - Whether you want to add that extra spice to your live performances or just want to create good music in the studio, the Novation MiniNova Analog Modeling Synthesizer is just the right companion for you. It's an amazing mix of quality sound, ease of use, and looks! It was back in 2002 that Korg first came up with the microKorg. 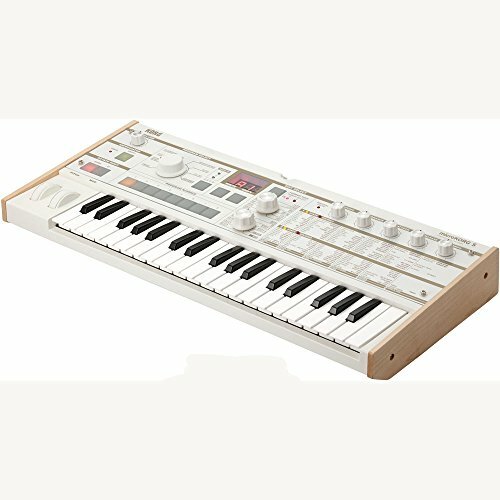 Now for its 15th anniversary, Korg has released this amazing synthesizer, featuring all the qualities of the microKorg with a majorly improved design. The interface is easy to use, allowing you to be able to focus on creating music. + Easy to use interface. + Full range of effect. + Comes with clear controls and a classic look. 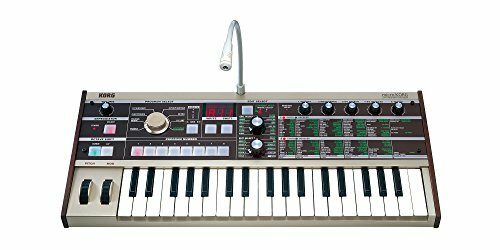 Why We Liked It - The Korg microKorg 37-Key Analog Modeling Synthesizer has a powerful synth packed into a small but attractive unit. It’s a complete package for both audio professionals and music enthusiasts. This is just another reason why Korg is one of the best synth makers in the world. The Korg MS20 Mini Monophonic Analog Synthesizer has all the features of the legendary MS-20 released back in the 1970s but in a compact size. + A true analog mono synthesizer which means great quality sound. + Comes with MIDI in and USB connector. + Great price for the quality. 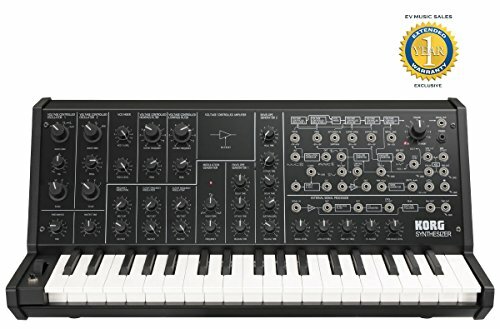 The Korg MS20 Mini Monophonic Analog Synthesizer is a very inexpensive synthesizer that has all the qualities of the more expensive vintage synthesizers. This synth combines high-performance with vintage charm. Massive sound, hands-on easy to use interface, all at an affordable price. + Has three virtual analog engines onboard for incredible sound. + 64-voice polyphony means no drop out notes. + +Battery-powered and can be used anywhere. Why We Liked It - If you're a beginner and looking for a great quality synth to add a more flavor to your music, the Roland GAIA SH-01 Synthesizer has what you need. Out of all the many great sounding synths, the Korg Volca Keys Analog Synthesizer is hands down the best. It's easy to use and has one knob per function and three true analog tones. You can get quantized free flowing loops from the 16 step sequencer. If you have other Volca instruments, you can sync them with this synthesizer. It's portable, and you can play it anywhere thanks to the built-in speakers. There's even a battery option if you want to go wireless. Why is it our top pick? The sound is truly versatile. It's a leading synthesizer designed for professional use. Despite being a truly professional synth, anyone can play it. There's a MIDI in for note entry, sync, and control from the DAW. If you want an analog synth, this one is the best for you. It's small, but with correct use, you can produce some amazing sounds. 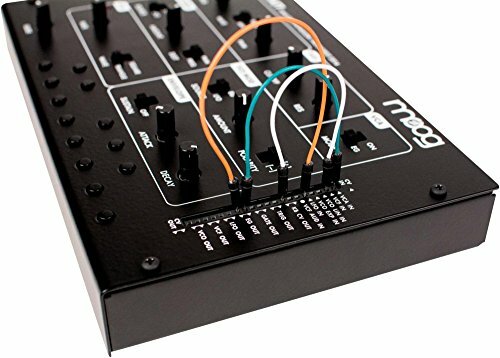 The Korg MS20 Mini Semi-Modular Analog Synthesizer is packed with power, control, and versatility. You can't go wrong with a Korg synth – this company makes some of the best in the synth world. If distortion is your thing, the high pass/low pass filters along with the distinctive distortions will win you over in a flash. 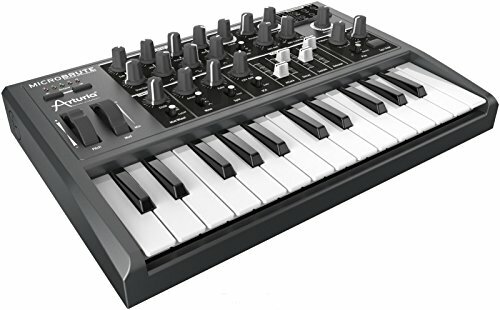 It's compatible with audio computers from its USB MIDI and five pin MIDI ports. It has been around for decades and has seen various improvements. On the outside, it looks like the same old synth from 1978 but start playing it, and the sound improvements become obvious. It's safe to say that this synthesizer has a vintage vibe to it. Be prepared to shell out a bit more cash for this vintage classic. It costs a lot more than your average analog synths but in return, you get some fat sounds that have a cool '70s vibe. This pocket synthesizer from Korg is one of the best values around. The Monotron Duo Dual Oscillator Analog Pocket Synthesizer has VCO1 and VCO2 with Pitch Control and even a peak control. The biggest advantage is that it's super portable and you can go analog wherever you like. It's batteries powered and will literally fit in your palm but this doesn't mean small power. It has the same scale function as the Kaossilator. The four scales are chromatic, major, minor, and off. It's super cheap and which makes it the best choice if you're on a budget but don't want to sacrifice quality. If you're a mobile musician, you'd be hard-pressed to do better than this. You have precise pitches similar to that of a digital piano. Much like the other synths in this article, it's incredibly easy to use so anyone can master it in no time. You'll be pleasantly surprised to see so many sound variations from this little synth. A synthesizer is an electronic instrument which consists of several different modules which work together to produce a synthesized sound. The modules include oscillators, filters, modulation sources or envelope generators which all perform the same tasks as conventional instruments. Synthesizers imitate instruments or generate new types of electrical sounds based on these instruments. They're usually controlled by a host of input devices like fingerboards, sequencers, wind controllers or electronic drums. They use many techniques to produce sound waves including additive synthesis, subtractive synthesis, wavetable synthesis, phase distortion synthesis, and physical modulation synthesis. Synthesizers are mostly either analog or digital and both have their own pros and cons. They first hit the market in the '60s and '70s and gradually garnered popularity, becoming a widely used instrument in the pop world. It wasn't until the '80s and '90s that synthesizers became a major part of music production. Since then, musicians all over the world have been using them to create unique tunes and experiment with various instrumental sounds. Synthesizers also created keyboard workstations which are versatile and multipurpose. Synthesizers are able to copy an instrument or produce sounds by generating sound waves of distinct shapes and producing two or more tones simultaneously to generate a certain frequency. They're also able to change the volume of the sound to produce different ASDR envelope shapes. The oscillators produce different sound waves and often combine those waves to generate more complex waves. Through controlling the attack, decay, and sustain, the synth is able to copy a particular instrument. Let’s take the example of a violin in which the strings when bowed or plucked produce oscillations. The wood of the violin and its resonance combined with the lacquer’s density gives the oscillations a tone. The pressure of the bow dictates the changes in volume or timbre. The fingers holding the strings on the fingerboard produces a vibrato. On a synthesizer, an oscillator produces sound. The filter will give it a tone similar to that of a violin. The envelope generator will give its timbre rise or fall. And finally, a modulation source carries out the last act of introducing vibrato. This is how through different components a synthesizer is able to synthetically produce a sound that is similar to another instrument. In a digital synthesizer, all this is achieved through digital signal processing. The difference between the two is pretty much what the difference between any analog and digital device is. In an analog synth, the different modules work together to produce sounds. In a digital synth, the same is done via digital signal processing. Instead of modules, algorithms work to tweak oscillations to produce different sounds that mimic musical instruments. The debate about which one is the best is an old one ever since digital synthesizers came out. Some people say that analog synths have a warmer sound which is somewhat true but it depends on the synth itself as not every analog synth may be warm. As for the digital synths, many musicians prefer them because they can be more versatile. You can tweak the sound to produce a plethora of distinct sounds and that is why they are considered more reliable too. Nevertheless, analog have their own old school charm which a lot of musicians are looking for. So there is no definite winner among these two and it is more of a personal choice than quality or performance. The first thing to do is decide what kind of sound you're looking for. Synths are capable of producing electronic sounds and can imitate many instruments, so you need to know what instrument is dominant in your music. Then comes the question of 0going analog or digital. The difference is mainly in the production of the sound. You can get quality sounds from either. Study them both to see which one suits your style best. You also need to take into account other factors such as MIDI controller implementation, computer support, and most importantly, price. Set your budget then find the best one you can afford. Many high-quality synths have advanced features which can cost hundreds of dollars. Some brands are more popular than others like Yamaha or Korg, so you can be sure about the quality of sound and versatility. Reading other musicians' reviews is important for learning about the quality of sound and play. You can even hear samples on the product’s website or check them out on YouTube to get a better idea. Some key functions to note if you're serious about buying a synthesizer. The number of voices that you require from a synthesizer is an important consideration. There are some with monophonic voices and others with polyphonic voices. This is entirely a matter of personal preference whether you like digital or the analog synths. Planning on using your synthesizer with a computer? Are you recording and storing your synth compositions? Make sure your synth has MIDI capabilities. Whether you want drum sounds out of your synthesizer or not completely depends on your personal. Some of the newer models out there are equipped with drum sounds and are relatively inexpensive. The synthesizer is a great device for any musician. With technology improving day by day, they have only gotten better. Its convenience and power have made it into an important part of any studio. Nowadays, there are a plethora of choices before you and finding the right thing can be challenging. Here is what to know before buying yourself a synthesizer. Polyphony is one of the most important features on the synthesizer. It's the number of voices on it. In simpler words, the different notes on the keyboard are referred to as voices here. For instance, a standard piano has 88 different voices and you can combine them to create different notes. Some instruments have very few voices such as a trumpet which only has one voice. Most synthesizers are monophonic i.e. they can play only one voice at a time. However, there are polyphonic versions which have more complicated circuits inside to achieve this. This means they're more expensive than monophonic synthesizers. You can make do with monophonic if you multitrack record. Analog synthesizers were and still remain the most widely used synthesizers in the music world. Analog has analog signals and is produced with analog circuitry. You have oscillators, filters, modulation, and envelope generators. The digital synthesizer uses digital signal processing to recreate the analog sound. There are some hybrid synthesizers that have analog components as well as digital. It's a matter of personal choice as to which you yourself prefer; there isn't much difference in terms of quality. The synthesizers gave birth to what we call a workstation. When polyphony became popular, keyboards came on board too and included dynamic key beds and digital sounds. By the end of the '80s, we saw dynamic setups with a multi-track sequencer, synthesizer, drums, and effects combined. These were called keyboard workstations and been major players in music electronics ever since. If you're looking for an all-in-one kind setup then a workstation is the best thing for you. The possibilities are virtually endless and they can give you unique versatility. One of the most important considerations is computer connectivity. For many musicians, their computer is crucial as they manage everything from there. You need to ask yourself if you'll need to store your synth sounds and plan on recording your music. Some synthesizers need MIDI and memory.. The good news is that most synthesizers provide some sort of computer support. Soft synths are obviously more compatible with computers as they rely on software. You may want to use a piano VST in combination with these items. You should set a budget for yourself before you start looking for a synthesizer. Depending on the brand and the synth itself, the price can vary greatly. You can easily find a good quality synthesizer for under $300. Some small ones with fewer voices may even cost less than $100. Workstations can cost more than your regular analog or digital synthesizers. Pricing is obviously an important factor when buying music instruments, but if money isn't a constraint, you should only go for what you need. Spending more will not guarantee that you get what you are looking for so make sure you understand your goals in getting a synch.